England openers gave a good start to the innings as they sought to wrest initiative in the match. In the last session of the day's play, two quick wickets gave a serious jolt to the English team as both openers went back pavilion chasing a target of 405. 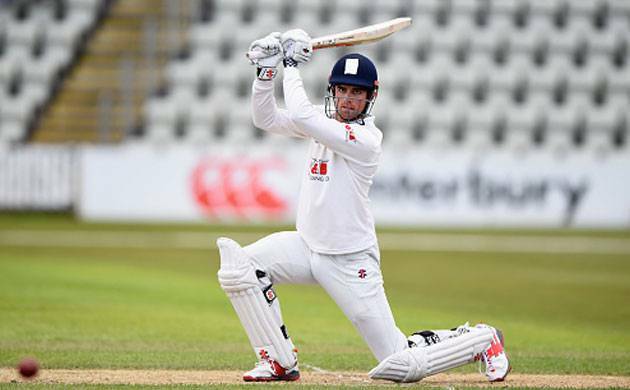 English openers Alastair Cook and Haseeb Hameed counterattacked the Indian bowlers as they try to wrest the initiative in the match. Earlier, England bowlers brought their team back into the match as they triggered a collapse of the Indian innings. Both Stuart Broad and Adil Rashid took 4 wickets to rattle the Indian team. India is in a commanding position in the match and Virat Kohli will look to tighten grasp over the match. However, England bowlers led by Stuart Broad have shown spirit and plucked out some quick wickets. Earlier, India cemented its position in the Visakhapatnam Test by the end of the third day as due to superb performances by mercurial all rounder Ravichandran Ashwin and skipper Virat Kohli. Ashwin took a five wicket haul for the 22nd time in Tests and equalled the records of legends of the game such as Courtney Walsh, Curtly Ambrose, Malcolm Marshal and Waqar Younis. His wicket taking spree has put England at a perilous situation in the match. English speedsters Stuart Broad and James Andersson sent Indian top order cheaply by claiming three quick wickets. However, the English bowlers then ran into seasonsed campaigners Kohli and Ajinkya Rahane who stitched a 58 run partnership to take Idia's lead to 298 runs.